If you've ever wondered what it is that makes a photograph great—or more important, how you can make a great photograph—here's your opportunity to learn from our experts. ProPhotoSpots’ renowned photographers shed light on every phase of the art and science of picture taking. 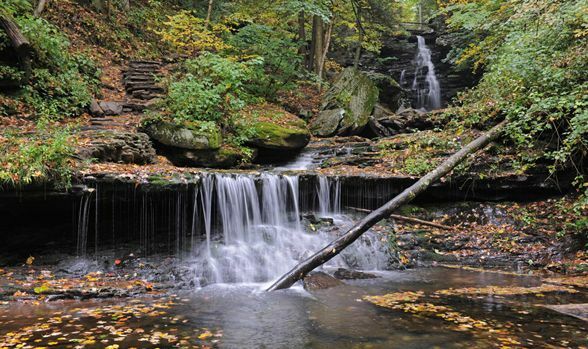 Ricketts Glen State Park is perhaps the east coast best keep secret. Home to 22 waterfalls, all of which can be viewed via a 7.2-mile hiking trail known as the Falls Trail. You also can see the majority of the trails from a much shorter 3.2-mile loop trail. All of the waterfalls flow over rocky clefts; the largest waterfall is Ganoga Falls, which has a 94-foot drop. Join ProPhotoSpots founder Christian James for this weekend series workshop.